« The shades of autumn encroach. I am a participant in The Virtual Book Fair. The event is live November 12-21. 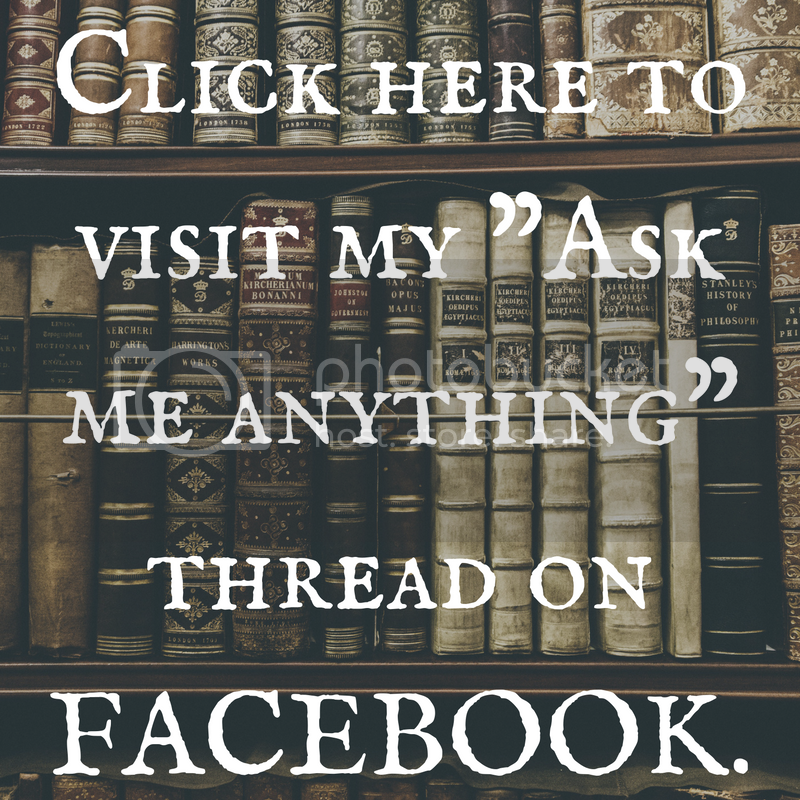 For more information, check out the event at https://www.facebook.com/events/927569970656592/ or just head over to The Virtual Book Fair page right here on the blog! Welcome, and thanks for visiting. I’m M.R. 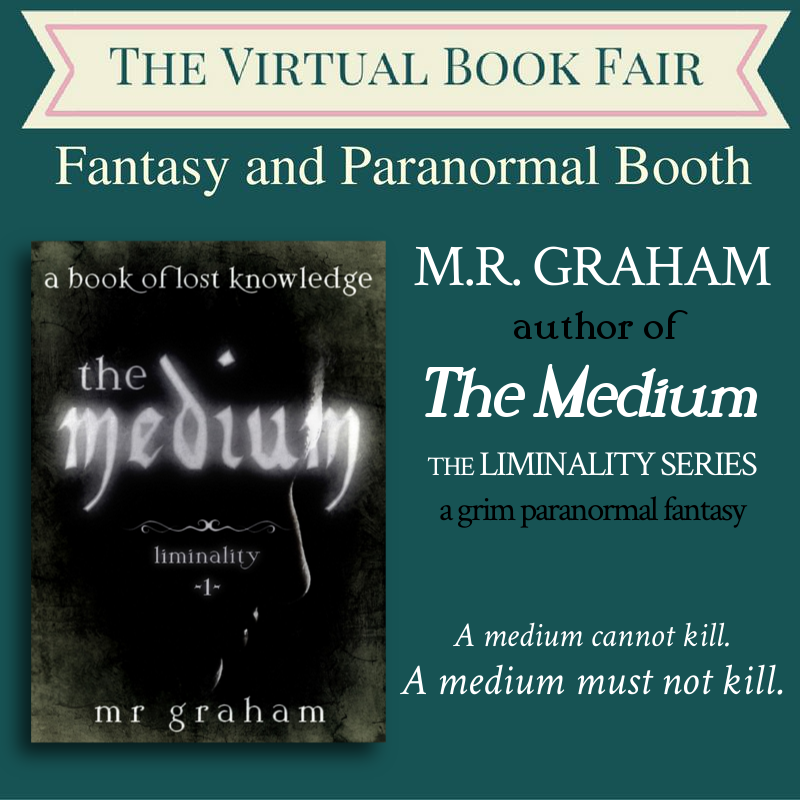 Graham, author of the Liminality Series: The Medium, The Mora, and at the end of this month, The Mage. I’m a strange bird, an academic, a collector of books and umbrellas, and a lover of tea and hats. I write about things that go bump in the night, both of the supernatural and early varieties. For a limited time, both published titles are discounted in anticipation of the release of The Mage. CLICK HERE TO GET THE MEDIUM for only USD0.99. CLICK HERE TO GET THE MORA for only USD1.99. Check out more booths at the Virtual Book Fair. Tagged discount books, fantasy, paranormal, the medium, vampires, virtual book fair. Bookmark the permalink. Hey, thank you! I totally understand the out-of-control TBR pile. Mine is as tall as I am.